Today, the Administration for Children’s Services (ACS) Commissioner David A. Hansell unveiled the city’s first-ever Safe Sleep Toolkit, which will be provided to the parents of new babies at public hospitals in New York City before discharge in an effort to reduce sleep-related injury deaths. Last year, ACS and the New York City Health Department launched a citywide public awareness campaign as a way to promote safe sleep practices. Today, ACS Commissioner Hansell said the agency is doubling down on its efforts to prevent future tragedies. As a result, the toolkit puts safe sleep resources into the hands of parents before even leaving the hospital. Specifically, the toolkit contains a wearable blanket to keep the baby warm, infant onesie, netting and educational materials about breastfeeding and best practices for infant safe sleep. The items in the Safe Sleep Toolkit were thoughtfully selected based on barriers to practicing safe sleep that parents and caregivers identified in focus groups convened by ACS and the Health Department. Those barriers included poor heating and pest infestations in the home. Parents disclosed that they often shared a bed with their babies as a protective measure. The toolkit addresses those concerns by providing netting to prevent insects from getting in the crib, and a wearable blanket to keep babies warm instead of using a loose blanket that can interfere with breathing. Moreover, Commissioner Hansell today announced that the parents of newborns at NYC Health + Hospitals will be shown a brand new safe sleep educational video before being discharged. The educational video is included in the toolkit as well. Working together with the Health Department, ACS launched the video to help debunk myths and misconceptions about sleep-related infant safety practices. View the full video here: Breath of Life. A sleep-related injury happens as a result of unsafe sleeping conditions, like a parent sharing a bed or sleeping surface with an infant, placing an infant on their side or stomach to sleep or placing objects, such as soft of loose bedding in the crib. While these deaths touch all ethnicities, cultures, and socioeconomic backgrounds, communities with inequitable access to resources and opportunities are disproportionately affected. As a result, the toolkit will be piloted out of four sites: NYC Health + Hospitals/Elmhurst, in Queens; NYC Health + Hospitals/Woodhull, in Brooklyn; NYC Health + Hospitals/Jacobi, in the Bronx; and NYC Health + Hospitals/Harlem, in Manhattan. Eventually it will be available system-wide, serving approximately 18,000 NYC families each year. Standing at NYC Health + Hospitals/Harlem, Commissioner Hansell was joined by NYC Health + Hospitals/Harlem CEO Eboné Carrington, ACS Deputy Commissioner Lorelei Vargas and Health Department Assistant Commissioner Dr. Deborah Kaplan. “Every year, about 50 babies in New York City tragically die due to sleep-related causes. As part of our continued efforts to promote safe sleep practices, ACS will soon provide its first-ever ‘safe sleep toolkit’ to all parents and caregivers at public hospitals across the city. This toolkit will put safe sleep resources, educational materials and other supplies directly into the hands of thousands of new parents before they leave the hospital,” said ACS Commissioner David A. Hansell. Together with its city and community partners, the Health Department has been making great strides to provide safe sleep education and resources – such as portable cribs, fitted sheets, crib netting, and wearable blankets – to parents, grandparents, child care providers, hospitals and shelters throughout the city through its Cribs for Kids Program, Katz’s Cradles Initiative, Champions Project, Family Wellness Suites, home visiting programs, and 311. 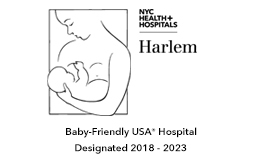 The Health Department’s Newborn Home Visiting Program and Healthy Homes Program has also partnered with HPD and NYCHA to help families with infants to address environmental conditions in their homes, such as the presence of pests and lack of heat, with the support they need to address them. As part of the citywide ‘safe sleep campaign,’ ACS today held its second annual NYC Infant Safe Sleep Summit. Community partners, providers and experts today gathered at the Schomburg Center for Research in Black Culture in Harlem. More than 300 clinicians, safe sleep advocates and parents attended the summit to identify conditions that serve as barriers to safe sleep — from housing, access to healthcare, and other resources that when addressed, allow families and children to thrive. Participants also pledged to implement specific strategies, tools and programs that will advance infant safe sleep practices and help reduce infant sleep related injury and death in communities they serve. Babies should be placed on their backs to sleep. Babies breathe better on their backs than on their stomachs or sides. Sleeping on their backs opens up their chests and makes it easier for them to draw in more oxygen to their brains. Babies who sleep on their sides can more easily roll onto their stomach, making it harder for them to breathe and increasing their risk of suffocation. Babies are also MORE likely to choke, if they spit up, when placed on their stomach. Avoid bed sharing. A baby should never sleep in an adult bed, on a couch or on a chair with anyone. Babies may suffocate if another person accidently rolls on top of them or covers their nose and mouth. Use a firm sleep surface with a fitted sheet made for that specific product. Babies should be placed on a flat surface for all sleep times. Though it might seem more comfortable to put a pillow on top of the mattress, babies may suffocate on the soft surface. Do not use a car seat, carrier, swing, bouncer or similar product as a sleep area. These surfaces are not designed for a baby to sleep on and are very dangerous. Keep soft objects, loose bedding, or any other items that could increase the risk of suffocation out of the baby’s sleep area. Loose and soft bedding can be very dangerous to a baby. Do not place pillows, blankets, toys, or bumper pads anywhere in your baby’s sleep area. If one of those things gets on the baby’s face, they may not be able to move their face away and can suffocate. If you are worried about your baby getting cold, dress them in a wearable blanket, such as a sleep sack, or in another layer of infant clothing. In general, your baby should be dressed with only one more layer than what you are wearing. If you have poor heating in your apartment and your landlord does not address the heating issue, call 311 for help. Keep your baby’s crib free of any food or drink that may attract pests. Crib netting may also provide some protection. For more on how to control pests safely, visit nyc.gov and search for “pests.” If you have pest problems in your home and your landlord does not correct them, call 311 for help. Breastfeed your baby. Breastfeeding has many health benefits for mother and baby, including reducing the risk of SIDS. While the cause of SIDS is unknown, breast milk may help build a baby’s immune system to fight SIDS-related infections. Babies fed only breast milk get the most protection against SIDS. However, any breastfeeding provides more protection than no breastfeeding at all. Breastfeeding and skin-to-skin contact also keep babies calm, and can help mothers bond with their babies and regulate their body temperatures, breathing and heart rate. For more information on infant safe sleep best practices or resources in your community, visit: nyc.gov/safesleep or call 311 and ask for Safe Sleep.